It’s not a secret that Windows 7 is the main target of ransomware and malware. The unsupported operating system was the most affected OS by WannaCry ransomware last year. However, Microsoft provided patches and security feature due to the high usage of the OS. Unfortunately, not all Microsoft’s attempts to do good for the customers end up as expected. Recently, the independent security researcher from Sweeden Ulf Frisk discovered that company’s attempt to fix Meltdown hardware vulnerability made the situation even worse. Microsoft introduced Meltdown patch for Windows 7 in January which was supposed to fix the flaw that allowed attackers to read kernel memory. However, goodwill became a “Total Meltdown,” because the company left a mug that let malware not only reading, but overwriting memory too. The “Total Meltdown” made machines with Windows 7 (x86-64 versions) and Server 2008 R2 (with the 2018-01 or 2018-02 patches) even less secure that they have been before. Meanwhile, Windows 8, 8.1 and 10 are not affected by this issue. Originally, Meltdown vulnerability allowed attackers to read the kernel information due to issues with PML4 page table permissions. The total Meltdown flaw made the memory not only readable but writable as well. Hence, attackers can do anything if they manage to hack into a device. This brand new Windows security hole allows malicious programs, or any user who has access to a vulnerable computer can get administrator privileges, manipulate memory map of the OS, access or overwrite information in RAM. It goes without saying that passwords and other personal information can be stolen easily as well. Additionally, Meltdown vulnerability allowed reading memory at 120 KB/s speed. However, the Total Meltdown gave more speed. Now reading, stealing, and modifying kernel information is possible in GB/s speed. The patch is issued via Windows Update. However, if you have disabled automatic updates, you should download it from the Microsoft’s Update Catalog. ^ Liam Tung. 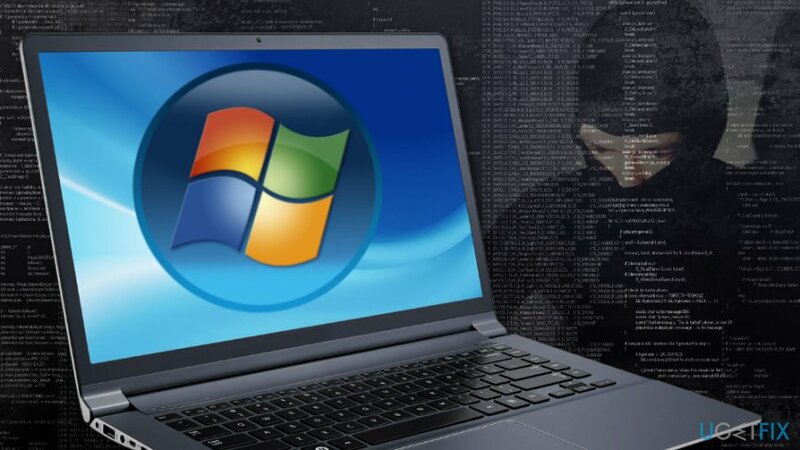 Microsoft: Windows 7 is way more exposed to ransomware than Windows 10. ZDNet. Technology news, analysis, comments and product reviews. ^ Olivia Morelli. WannaCry ransomware virus. How to remove? (Uninstall guide). 2-spyware. Cyber security and spyware news. ^ Ulf Frisk. Total Meltdown?. Ulf Frisk blog. Hacking and cyber security. ^ Meltdown (security vulnerability). Wikipedia. The free encyclopedia. ^ CVE-2018-1038 | Windows Kernel Elevation of Privilege Vulnerability. Security TechCenter. The official Microsoft website. This entry was posted on 2018-03-30 at 03:30 and is filed under News.